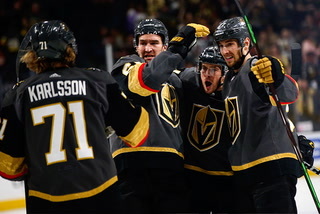 It has been true all along that the Golden Knights could prove even better than last season and still not come close to advancing as far in the playoffs. 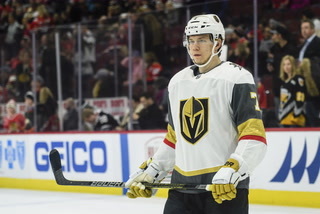 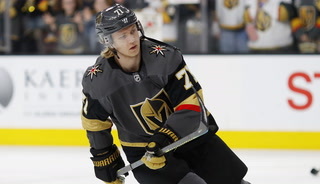 Now that the challenge has been handed William Karlsson in the form of a T-Mobile Arena size raise — proof is the bottom line for everyone, and it’s on him to show his was more than one magical season — things appear fairly set as to those names with which the Golden Knights will defend their Western Conference championship. 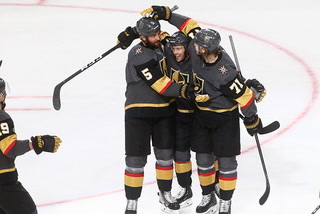 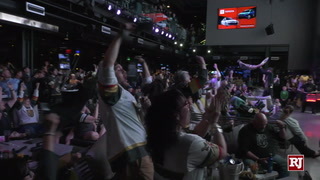 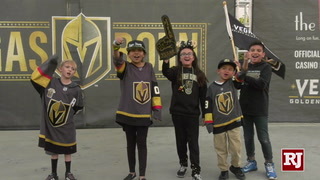 Vegas isn’t any better on paper than it was when losing Game 5 of the Stanley Cup Final to the Washington Capitals, but we all know what it did last season to any such predictions listed on thin sheets made from the pulp of wood. 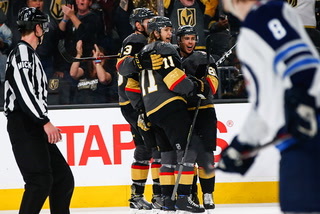 Set them ablaze to rival the Great Chicago Fire of 1871. 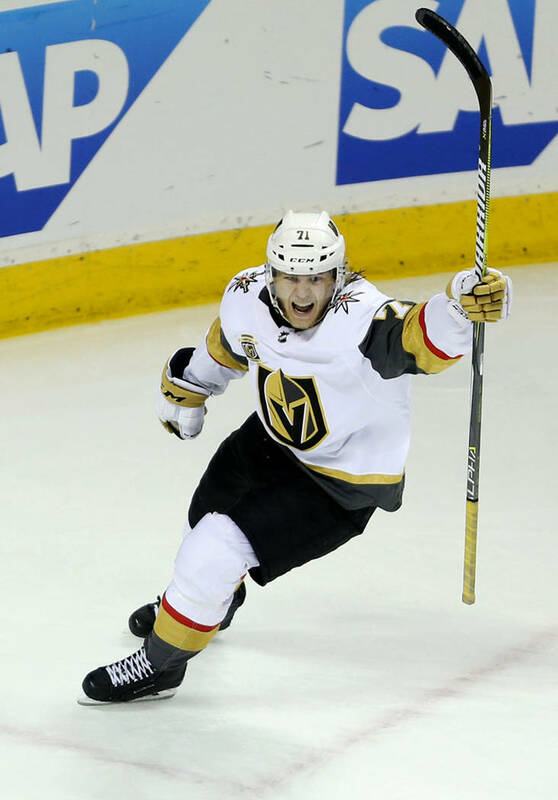 Karlsson is back to lead the top line, the center having avoided an arbitration hearing Saturday morning when he and the team agreed to a one-year, $5.25 million contract. 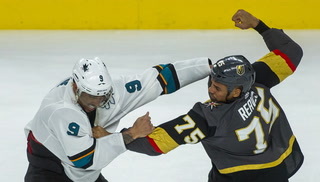 Nobody loses. 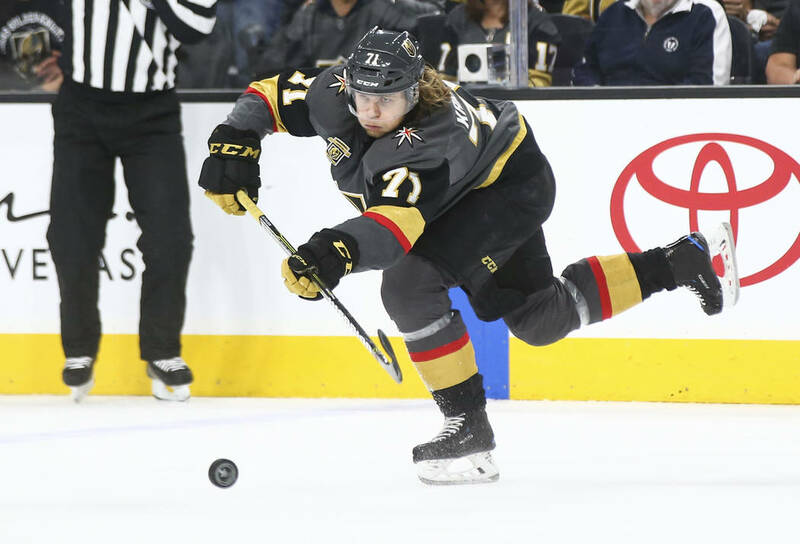 Karlsson can now afford to go bowling in his native Sweden — hey, they charge 390 krona, or almost $45, per game in the nation of coastal islands — and the Knights can see if the player who scored 43 regular-season goals is even better, really that good, close to being that good or none of the above. 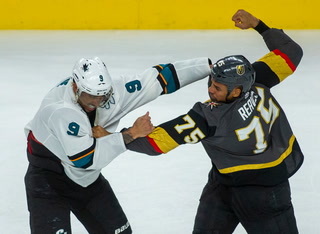 They might go through the arbitration dance again next year. 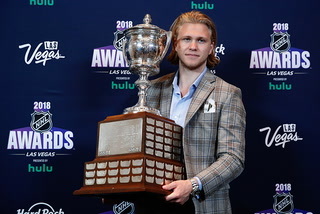 They might sign him long term before that occurs. Either way, Saturday was a good day for the guy from a suburb of Stockholm. 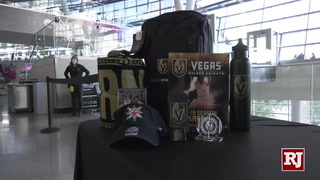 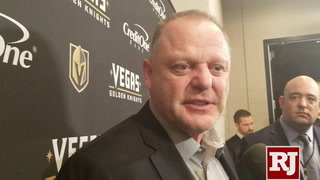 There remains a few house cleaning items for Vegas to address, one that should occur soon and another that continues to be a seemingly endless vat of rumor and speculation. 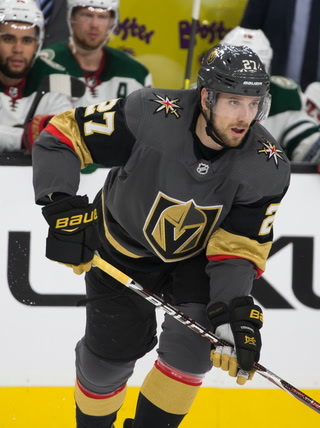 Shea Theodore is a restricted free agent with no leverage, meaning the 22-year-old will come to terms. 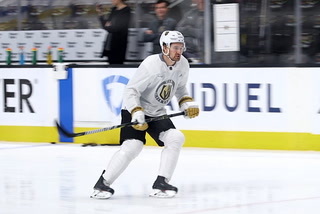 I suppose he could ultimately hold out if the team’s offer isn’t to his liking, but Las Vegas professional sports already has one of those on defense and, with apologies with Theodore, Khalil Mack is a much better player. 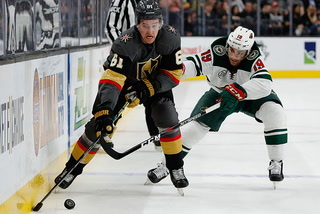 The other possibility — if it’s even still one — would be a roster shake-up the size of your average earthquake regarding Erik Karlsson, and whether the Knights would emerge from a handful of reported suitors interested in trading for Ottawa’s star defenseman. 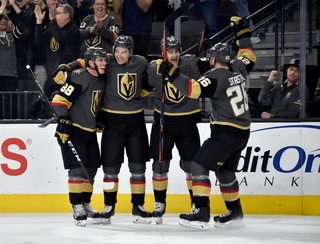 Here’s the thing: It has been true all along that the Knights could prove even better than last season and still not come close to advancing as far in the playoffs. 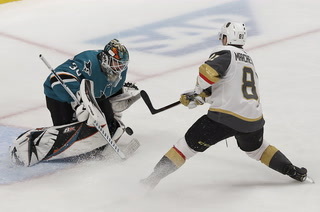 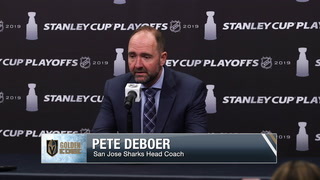 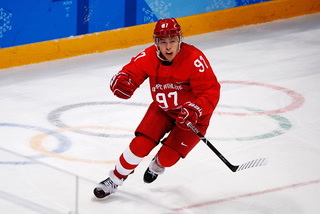 They could miss the postseason entirely, because while they remain a very good team when healthy, many of those in the Pacific Division have improved since the Capitals skated away with the Cup. 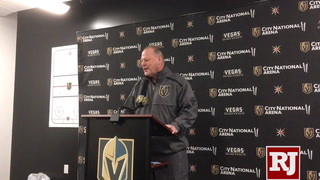 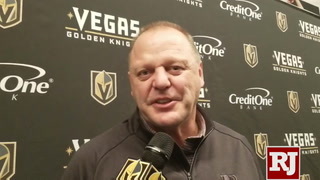 It begins in training camp, when coach Gerard Gallant no doubt will mix and match lines after his top one, needing to find out where Erik Haula now fits after the signing of center Paul Stastny, whether Alex Tuch is better on the second or third, if Tomas Tatar is more comfortable and prepared to produce after arriving at last season’s trade deadline, whether it will be Ryan Reaves or William Carrier. 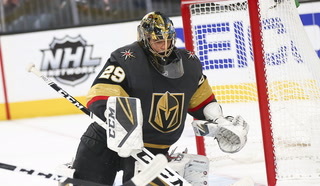 Are the Knights really convinced that should goalie Marc-Andre Fleury again go down injured, that Malcolm Subban is a capable long-term answer? 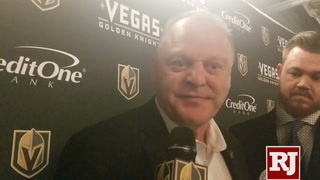 Can someone such as Ryan Carpenter steal a job? 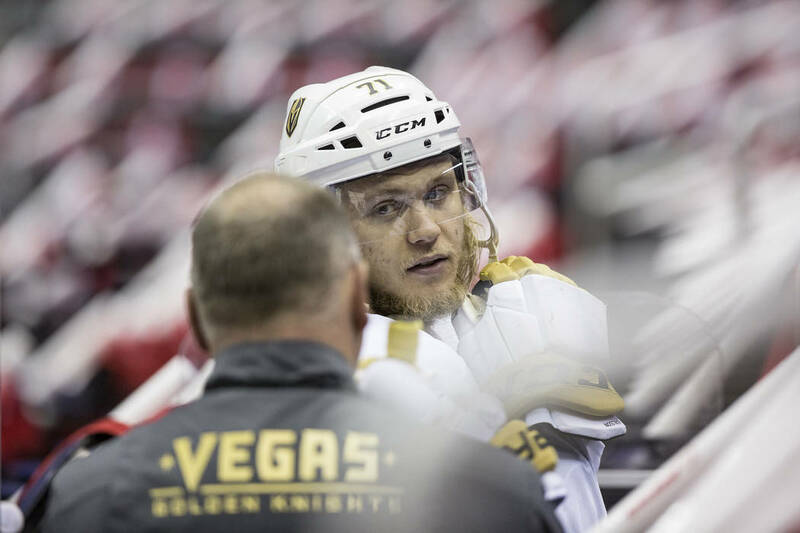 Will career years by many result in a natural regression? 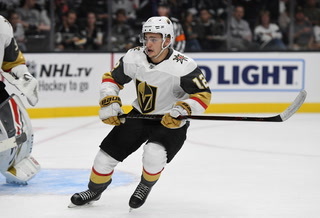 Arizona absolutely got better among Pacific teams in the offseason. 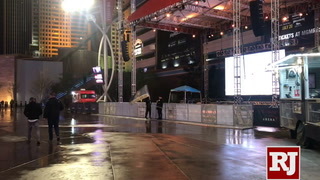 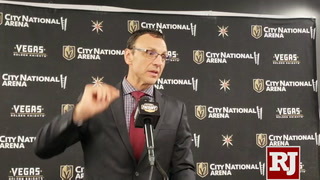 So did Calgary and the Kings. 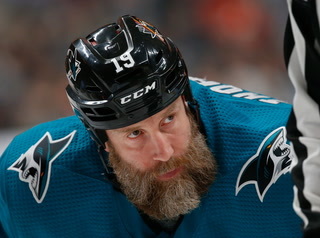 The Sharks definitely aren’t any worse, especially if Joe Thornton returns healthy. 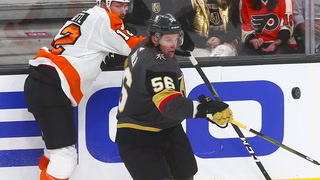 Anaheim, and its 101 points from last season, is still solid but not fast. 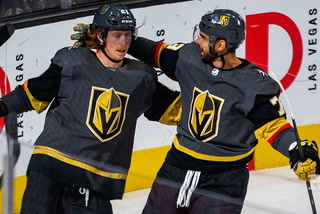 That, and the Knights no longer will surprise anyone. 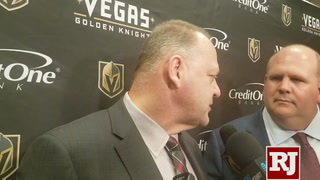 They have key questions that need sorting out and answered, but unless a freak electrical accident occurs and a trade goes down for that computer generated superhuman, this is close to the team that will defend its conference title. 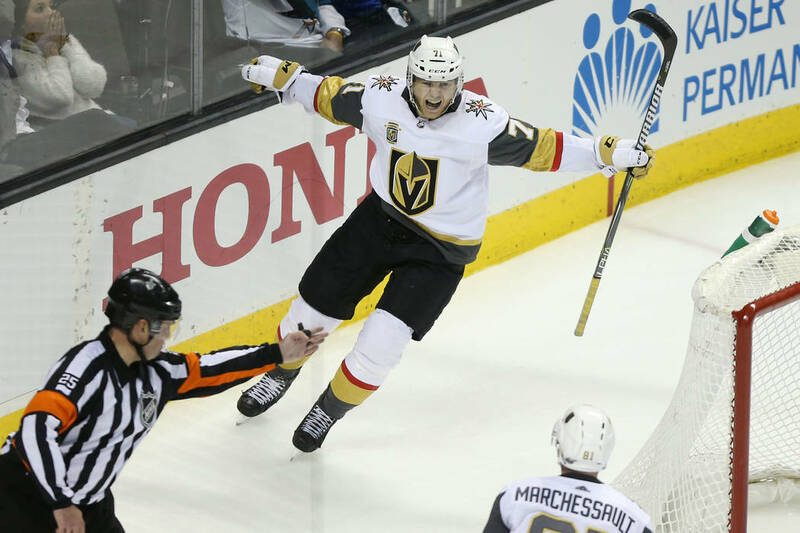 It’s no better on paper, but with how Vegas defied every conceivable expansion odd last season, setting fire to such judgment might be an appropriate response. 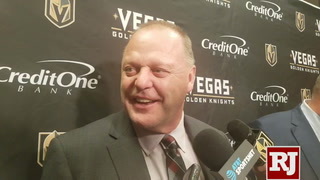 Which might mean the Knights have the league right where they want. 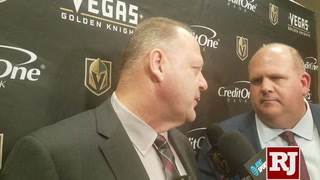 More Golden Knights: Follow online at reviewjournal.com/GoldenKnights and @HockeyinVegas on Twitter. 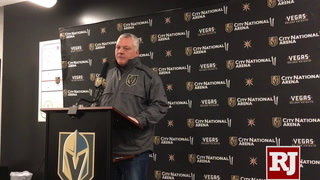 While teams usually treat all games the same, the Golden Knights are well aware of any added attention to the upcoming matchup against Calgary. 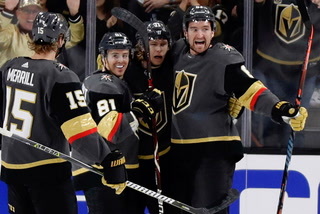 The Flames are first place in the Pacific Division, while the Golden Knights are aiming to hang on to third. 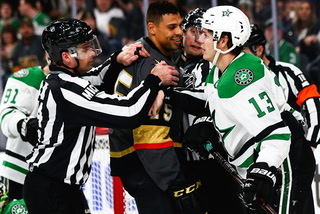 Pierre-Edouard Bellemare joins the Golden Edge crew in studio to teach everyone some hockey terms in French. 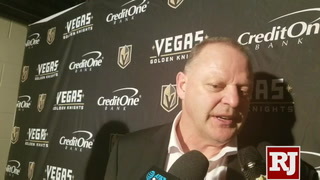 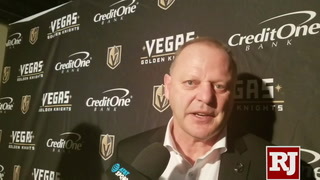 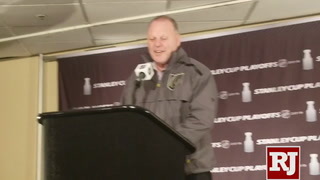 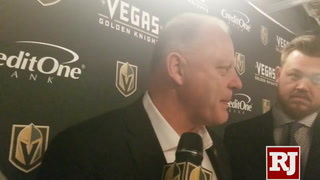 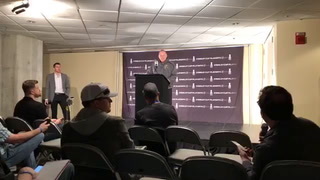 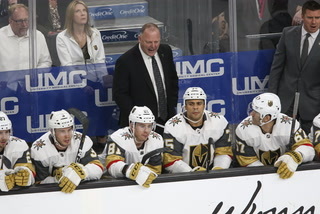 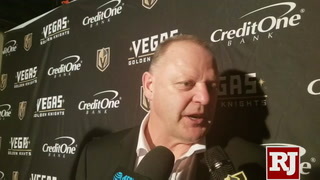 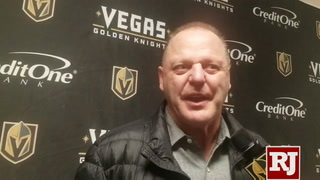 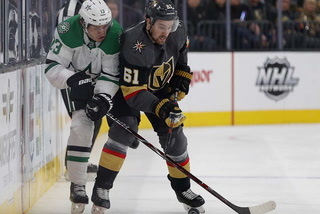 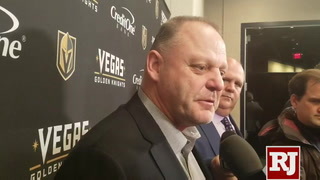 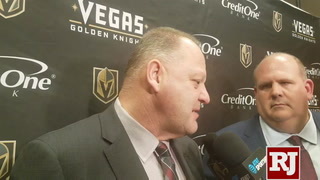 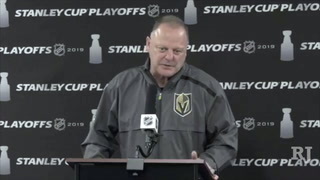 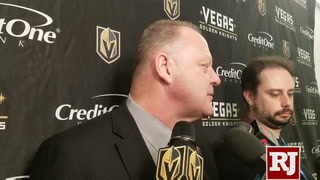 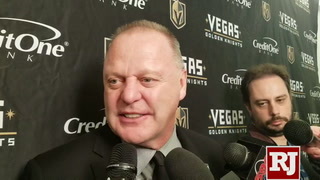 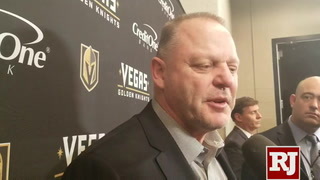 Head coach Gerard Gallant was pleased to see some of the Vegas Golden Knights playing with more physicality en route to their win over the Dallas Stars. 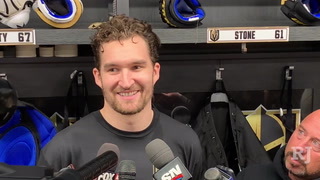 Players, including right wing Mark Stone, talk about their victory and solid third period play.